Founded in 2000, NEGRON Consulting provides services to the Commercial, Government, and NonProfit sectors. Our 11+ member team, led by President & CEO Michael J. Negrón, has grown over the years to serve a wide-range of industries in support of Change Management, Organizational and Leadership Development, and Diversity & Inclusion initiatives, both Domestically and Internationally. 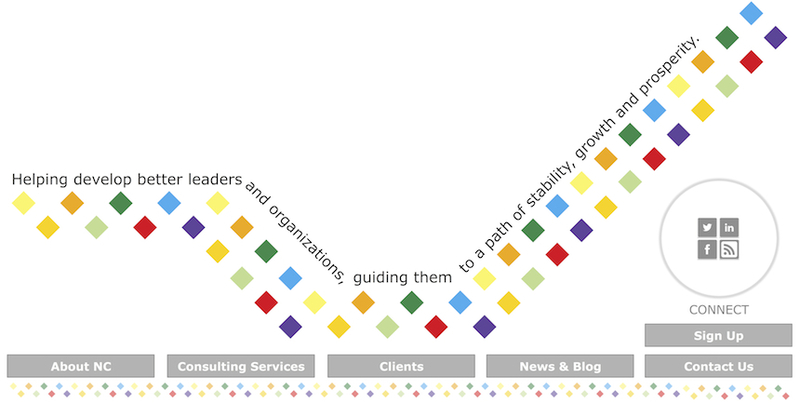 In 2010 NEGRON Consulting marked its 10th anniversary as a unique management consultancy, linking diversity and inclusion initiatives with our clients' distinct needs to encourage business growth and employee leadership development. In celebration of this milestone, NEGRON Consulting implemented significant advances to both commemorate and embark on our second decade of enhancing client opportunities. A re-launch and re-design of both the NEGRON Consulting logo and website, and The Octagon COACHING Model logo were completed with the assistance of a Graphic Designer and a newly hired Director for Brand Development, Marketing/Communications, and Web and Social Content. We also commissioned a local artist to create a sculpture that captures the essence of our work and values at NEGRON Consulting. After 15 years, we would like to extend our sincere gratitude to our many clients, colleagues, and friends who have been an integral part of our success and mission to "leverage our differences, encourage a level of creative energy and respect, and partner with our clients to ask the difficult questions, to dig deeper and increase trust." These relationships have been invaluable to our development and growth. NEGRON Consulting invites you to explore our website, newsletter, and blog, as we celebrate our years of working together. We will continue to improve our website and its design, and invite you to come back often to check out the latest content, offerings, and news.